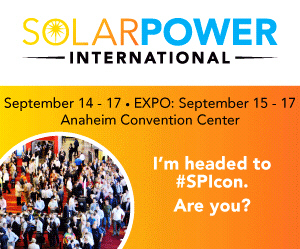 Meet Aquasoli at the SPI 2015 in Anaheim! We are excited to announce that Jürgen Schmid (CEO) will be participating at SPI as a poster representative. Join Jürgen for the Poster Reception where he will be discussing how to avoid damages by approbiate Pile Design. Learn more and register for SPI at www.solarpowerinternational.com/attend/register/.